The best interview thank you notes are short, concise and only take a few minutes to write. The main purpose of interview thank you letters is to keep your name in front of hiring authorities after your job interview. It's a subtle reminder of your recent meeting with them. You don't need to rehash your interview or resell everyone on why you're the one for the job. There is an old saying, you can form a mind, but you can't change a mind. Your opportunity to sell yourself and form a positive impression in the mind of the hiring managers took place in the job interview. If you bombed in the interview, all the interview thank you notes in the world aren't going to turn things around; however, if you are one of the top 3 candidates, it could make a difference as to whether or not you get tapped for the position. When your interview thank you letter arrives, the manager will remember you and recollect your interview. Most managers will be impressed you took the time to write them an interview thank you. After reading your letter, often times the manager will pick up the phone and call Human Resources to set up a second job interview. If not, your interview thank you note will be a reminder that it's time to follow up with you. Either way, you win.Every time they glance at your interview thank you note...they see your name. FACT: Would you believe a surprising number of job applicants do not take the time to send interview thank you notes? I've never been able to figure out why a serious candidate for a key position wouldn't take 15 minutes to write a simple job interview thank you letter. Many thanks for interviewing me on Tuesday for your logistics manager position. My interviews were very engaging and positive. I left your office with a feeling of excitement about your opportunity. I am confident I can contribute to your growing success. I look forward to hearing from you soon, and welcome your feedback. Thank you for interviewing me on Wednesday for your sales manager position. Although your interviewing process was challenging, I was energized by it and left with a positive feeling. It is clear that XYZ Corp is very selective about who they hire. I admire that in a company, and can assure you that I bring to the table not only a strong work ethic, but a consistent track record of top performance. My references will attest to my accomplishments and leadership abilities. I welcome your feedback or questions, and look forward to the next step in your interview process. I’m available to meet with you again on Thursday or Friday of next week, or Monday or Tuesday of the following week.. Put your name in front of the hiring manager again to reinforce his/her positive impressions of you. Make you stand out from other candidates who probably wrote a mediocre interview thank you letter. Question 1: Should I actually type out an interview thank you and mail it...or is it OK to send an email? Answer: Yes, it's OK to send an email these days; however, sending an email doesn't have the same impact on people. Most people I know get tons of email every day. 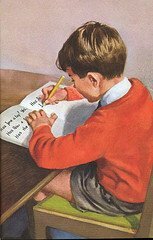 But how many personal letters end up on your desk these days? An email thank you note is fine, but for full impact, take the extra time and send a type written one. It's not necessary to prepare a hand written letter. Your goal throughout the interview process is to stand out. Most likely you will be competing with other candidates...many of whom won't bother to write a letter and will just fire off an email instead. Question 2: Who should get an interview thank you letter? Answer: Everyone who interviewed you. Make sure you collect business cards from everyone during your interview. This way you know the correct spelling of their name and title. Question 3: If 6 people interviewed me, is it OK to send each one the same letter? Answer: No. The general pleasantries in the first paragraph can be the same, but personalize your interview thank you notes by changing 1 or 2 sentences. Question 4: Is there a difference between interview thank you notes and interview thank you letters? Answer: Not really. I've been using the word, note, because it implies short or brief. Basically a job interview thank you note is a short letter. Question 5: Is there ever a time when interview thank you notes could be longer. Answer: Yes, but this is a rare exception. Sometimes you are asked an unexpected difficult interview question. You do your best to answer it, but on the drive home you say to yourself, why did I say that? What was I thinking? And then miraculously, you think of the perfect answer...and proceed to pound your fists on the steering wheel. Assuming your interview went fairly well, you could reference this question and provide a very brief answer to try and smooth things over (2 short paragraphs tops). Question 6: What if I'm not sure I really want this job? Should the tone of my interview thank you note still be positive and come across like I want the job? Answer: As a general rule, pursue the position even if you are not entirely sure you want it. Here are a couple of examples of how prejudging an opportunity could backfire on you. Remember, you are in the driver's seat, not the company. You can always turn down an offer. But if you don't get an offer, you don't have any options. 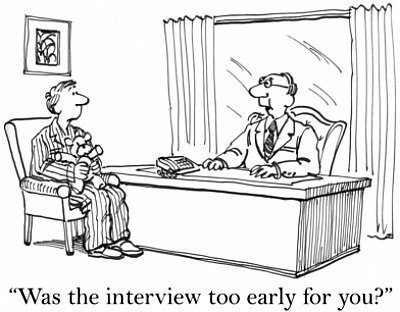 It's always wise to complete the interview process and learn all you can before making your decision. Even so, if you know beyond a shadow of a doubt that you don't want the job, still send a positive thank you letter. Mention you look forward to hearing back from them, but don't suggest you want the job. Question 7: After I send my interview thank you, if I don't hear anything, should I call the manager for an update? Answer: Yes. Mail your letter either the day of your interview or the day after, if you traveled to your interview. Seven days after you drop your letter in the mail, call the manager. Try and picture what is going on at the other end of the process. It takes 3 days for your letter to arrive. Your interview thank you may sit in the manager's in-basket for 2-3 days before actually being read. So, 5-6 days have passed since your interview. This is perfect timing as your letter just reminded them it's time to do something. If you did well in your interview, they won't want to risk losing you, so they will pick up the phone and instruct HR to invite you back, or maybe even start the offer process. If for some reason the manager has good intentions, but procrastinates taking action after reading your job interview thank you letter, your call is welcome and starts the ball rolling again. So, don't be afraid to pick up the phone and make the call. Question 8: Should I leave a voice mail if the manager doesn't pick up? Answer: Absolutely. Let technology work for you. Your mission is to either keep the hiring process moving, or close things off so you can get on with your life. A voice mail will accomplish this. Question 9: If I interviewed with 3 or 4 people, who I should I call? Answer: If you were given specific instructions by someone, follow those instructions to the T.
Sometimes the HR Manager will tell you to only work through the HR department. If you decide to go around them and speak directly with the hiring manager, it could upset some people. Having said that, you are always better off dealing directly with the decision maker. 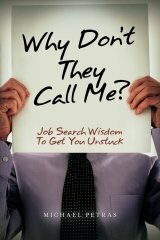 Often times the hiring manager will give you their business card and say, "call me if you have any questions". This is perfect because the manager you will be reporting to usually has the final vote on who gets hired. So, always call the hiring manager first unless directed otherwise. Question 10: How many times should I follow up if no one is calling me back? Answer: I have a 3 strikes and you're out rule. You took the time to interview with them. You sent them a thank you letter. You deserve to have the courtesy of timely feedback. If you have to keep chasing them, then the answer is no. It's important to close things off in your mind and move on. If you keep dwelling on it and mulling things over in your mind, you'll just get frustrated and irritated. No sense in stewing over it any longer if the company is keeping you in the dark. In my experience, half the companies out there will give you timely feedback. The other half will either leave you hanging indefinitely, or eventually get back to you whenever they get around to it. If this is how they treat you on your first date, what will they be like when you get married? So, here is how you can bring closure to this in a professional manner without any emotions spilling over. Call the hiring manager 7 calendar days after you mailed your interview thank you letter. If you don't get a call back in 48 hours (strike one)...call them again. If you get voice mail, leave another pleasant message asking for feedback. Let another 48 hours go by. This is Suzzi Q calling again. Hope all is well with you. I haven't received any feedback from my interview 10 days ago. I'm sensing at this point that you've probably hired someone else for the position. If I don't hear back from you by the end of the day tomorrow, I'll just assume you've closed your position. Thanks again for taking the time to interview me. It was a pleasure meeting you and please keep me in mind for future opportunities. The above message employs a powerful sales technique called "a take away". Two things will happen at this point. They will call you in a panic and say, hold everything, sorry for the delay, when can you come back for a second job interview. Or the silence will continue...and you know what that means. The only purpose of this message is to prompt a hiring authority to make a decision...even if it's to tell you, no thanks. Whatever you do, don't keep calling and calling and calling the manager like a stalker candidate. Stick with the 3 strikes and you're out rule. If you're working with an executive recruiter, don't call the company direct. Work through your recruiter. But if your recruiter is giving you the silent treatment, do the the 3 strikes and you're out rule with them. As an executive recruiter, I was working with an excellent candidate. I was very impressed with his interpersonal skills, and our conversations were always warm, professional, and friendly. Shortly after we started working together he wouldn't call me back or respond to my emails. Frankly, I not only found this out of character for this person, but I was getting upset about it. I used my 3 strikes and you're out rule with this candidate. So, I closed things off in my mind and moved on. About 2 weeks later I received a sobering email from his wife informing me that Jim had been involved in a serious motorcycle accident. They expected him to live, but he would be facing a very lengthy recovery. She thanked me for my email and follow up calls. What if I had allowed my emotions to get the best of me and had left Jim an angry voice mail chastising him for not returning my calls? Always give people the benefit of the doubt. You're not a mind reader. You never know what could be going on in someone's life at any given time. Regardless of someone's circumstances, the strike 3 rule works.